Manchester United have extended Andreas Pereira's contract by a year, taking his present deal to 2020. Brazilian Pereira, 23, has made the breakthrough into United's first-team squad this season after spells on loan with Granada and Valencia. 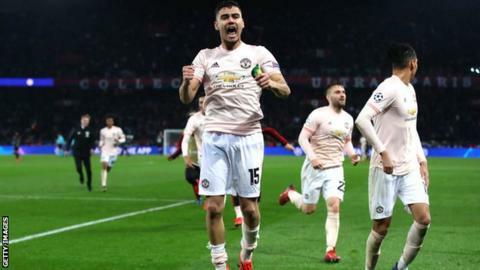 The midfielder impressed in United's stunning victory over Paris St-Germain in the Champions League. United can now make a decision on Pereira's future this summer knowing they can still get a fee if he is sold.